TNT is to move into City Link’s former London depot following a multi-million pound investment in the facility, with the site due to be fully integrated by April. The express operator has taken a ten-year lease on the site in Bermondsey, which faced closure when City Link went into administration in December. TNT has already set out plant to open a “super-depot” in Swindon, a move expected to create up to 200 jobs. *Volvo has agreed a three-year contract renewal with TNT for pre-market and aftermarket delivery services, continuing a 20-year relationship between the two firms. Under the agreement, TNT will continue to be responsible for Volvo’s European emergency production movements. 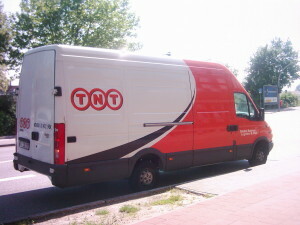 In addition, TNT will handle parts distribution to Volvo dealers throughout Europe.